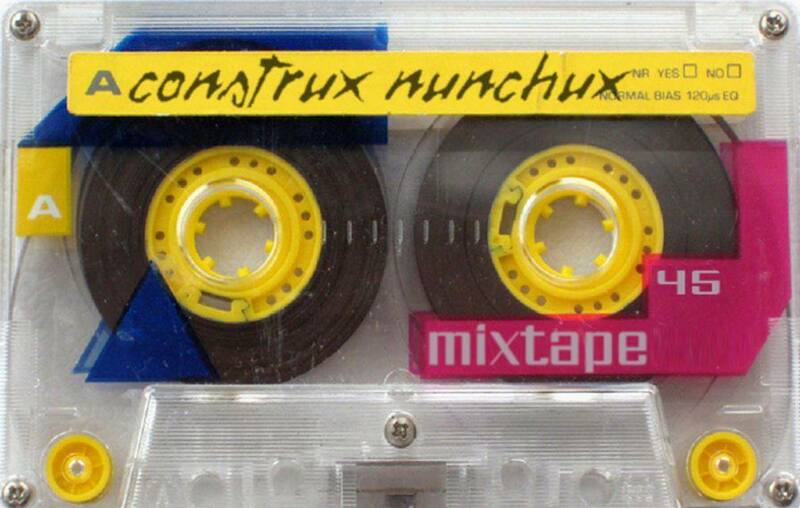 The second challenge between your humble bloggers construxnunchux and 30hz Rumble was an easy one to pick. We decided to dig into the void of obscure X-mas music and pull out of best (worst) holiday tunes we could find. I have to admit there were dozens and dozens of a amazing songs I've never heard before from artists I never expected. This was an incredibly fun one to do and incredibly difficult making cuts to "essential" songs. We asked Santa for a 60m tape in our stockings and he obliged! We are giving you bonus songs for free! So please, enjoy, have an amazing X-mas (or whatever you're into) and spread some of that surplus holiday cheer to everyone around you. But a playlist of 16 goodies from 30Hz that made me say "Oh dear!" I aimed for a balance of sincere holiday warm fuzzies and Scrooge-y cynicism with a side of yuletide jollies. The ebb and flow of the playlist remained imperative. Though holiday songs often require a different mindset, a less critical approach, I didn't want to sacrifice listenability or the overall playlist integrity. Holiday or otherwise, I needed killer jams that fit a collective compositional theme. I kept the blaspheming to a minimum, though you'll note a few choice phrases and mention of hookers, affairs with siblings and Scott Stapp (the horror!). Be careful not to become too blissfully complacent or seasonally merry. After you hear that Paul Kelly song near the end... if your heart doesn't grow three sizes, you might just be a Grinch after all. Which mixtape did you enjoy?